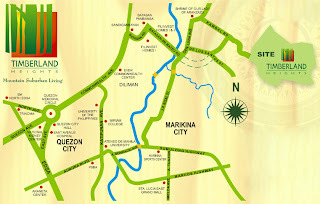 Timberland Heights boasts of themed communities with a Tropical Asian flavor to suit different lifestyles. There's Mandala Residential Farm Estates for hobby farmers who enjoy cultivating their very own farm lots. Then, for those who appreciate luxury and freedom, there are the exclusive hideaways of Banyan Ridge, The Ranch, Banyan Crest, and The Glades. A new project is The Leaf which is a prime condotel project located beside Timberland Sports and Nature Club (TSNC). It offers both lifestyle and investment opportunities for the lucky investor. Timberland Heights offers the perfect lifestyle for nature-loving enthusiasts. Different phases are being offered to different buyers that will fully satisfy their lifestyle. As our climate shows evidence of a need for a lifestyle ecologically advanced real estate companies have taken it as a guiding principle to start building sustainable green communities. 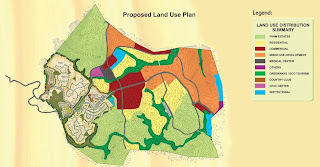 One such example is Filinvest’s township, Timberland Heights, in Rizal. The 677-hectare ecologicallysound property devotes most of its estate to open spaces, as it developed 80 hectares into Greenways, which features varied nature and recreation nodes which cater to nature-loving residents. Greenways is a station of theme parks, lagoons, campgrounds, and horse and bike trails. These were incorporated into the community’s masterplan to afford residents a healthy and active lifestyle without any effort. Themed communities are offered to suit the different lifestyle needs of Timberland Heights’ affluent market. Its biggest community, Mandala Residential Farm Estates, which boasts of a total of 7,303 square meters, gives classic amenities a modern spin. Its multi-purpose clubhouse includes a view deck with a splendid swimming pool. As part of Timberland Heights’ commitment to provide exclusivity and a front-row seat to nature’s bounty, only 20 percent of the total development will comprise home structures, with the rest being dedicated to open spaces for farming activities of the residents — thus, allowing members of the community to grow their own produce for a true farm-totable approach for family meals. The low-density community, which will include Banyan Ridge, Banyan Crest and The Ranch will only have a maximum 20 lots per hectare with Mandala 1 and Mandala 2 being the most exclusive at 7 lots per hectare, assuring residents that their recreation spaces will be unconstrained. The development of Timberland Sports and Nature Club, the country club facility of Timberland Heights, was conceptualized with the engineering know-how of DCCD Philippines and Aromin & Sy & Associates, together with the architectural expertise of Wimberly Allison Tong & Goo, USA, in order to maintain the integrity of the land’s natural terrain. 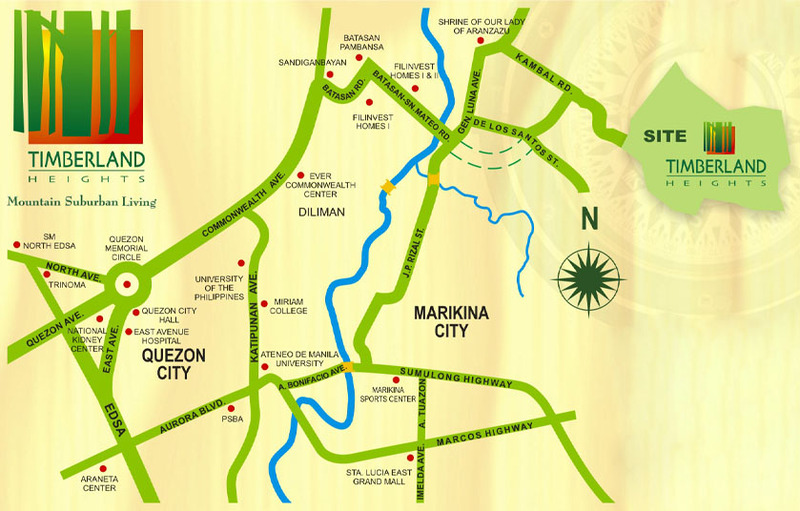 This premier suburban town situated among the hills and mountains of Quezon City Environs, Rizal places a premium on maintaining an ecologically-stable environment within its communities. Each component was built with the principle of maintaining and sustaining the health of its environment in mind—right from employing natural farming techniques, to the rehabilitation and preservation of natural sites. This will ensure that each resident who calls Timberland Heights home will marvel at its enduring ecological character as he enjoys the benefits of living in a healthy environment. The holistic development of the young’s “hand, heart and head” as espoused by the Waldorf educational movement has found its perfect home in the country’s premier mountain resort town. The Timberland Heights Rudolf Steiner School has open its doors in 2009 on a one-hectare land donated by Filinvest Land, Inc. to the Manila Waldorf School, Inc. (MWSI), which presently runs the Manila Waldorf School. 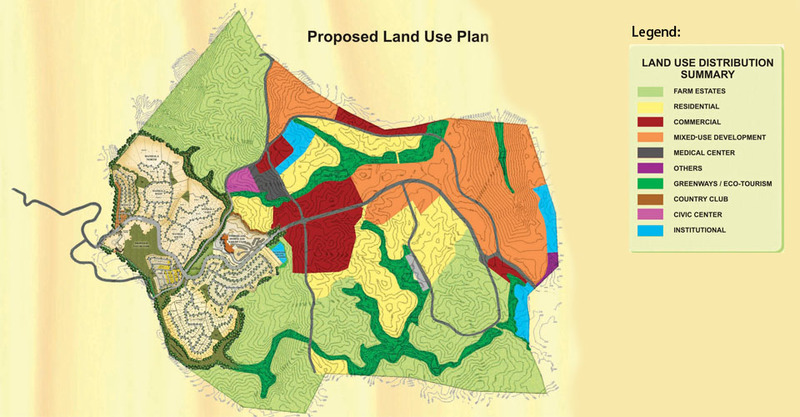 “Timberland Heights is an ideal location, considering how its natural and pollution-free surroundings are such an integral part of the Waldorf philosophy and curriculum,” said MWSI Board of Trustees Chairman Antonio Q. Montemayor. MWSI will establish a fully integrated pre-school, grade school and high school program on a single campus at Timberland Heights within five years from the start of its operations. The programs will be implemented in two phases with the first phase covering the high school and the second phase covering its pre-school or kindergarten and grade school for a maximum student population of 400. The Waldorf/Steiner movement, founded in 1919 by the Austrian scientist and educator, Dr. Rudolf Steiner, is one of the fastest growing nontraditional education movements in the world. There are more than 800 Steiner schools in 60 countries worldwide. Its educational philosophy is based on the developmental stages of childhood and adolescence. In the country, the Manila Waldorf School has grown from a single kindergarten class of ten in 1994 to its present size of about 200 students enrolled from pre-school to high school with campuses located in Quezon City. It is recognized by the Goetheanum in Dornach, Switzerland as an authentic Waldorf or Steiner school.